China and Germany will be the two host countries for the first international Overwatch Contenders events. Blizzard has released more details about the Pacific and Atlantic Showdowns for Overwatch Contenders, which will be starting in May. Pacific nations will be duking it out in Shanghai, China, while the battle in the Atlantic will occur on European shores in Krefeld, Germany. The Showdown tournaments for Overwatch Contenders are meant to highlight developing talent in the official path to pro to the Overwatch League. It brings together the best teams from every Contenders region to prove their worth against squads from other areas of the world. From May 24 to 26, six teams from around Asia will be facing off in Shanghai, China for regional pride. This includes two teams from Korea and China, and one from Contenders Pacific and Australia. The best team from South America, top two from Europe, and two three from North America will clash from May 31 to June 2 in Krefeld for the Atlantic Showdown. Both Showdowns are a double-elimination format, with individual matches being first-to-three map wins. The final will be first-to-four map wins, with the winner of each Showdown securing an extra spot for their region at October’s Gauntlet. The location of the Gauntlet is yet to be decided, but a Blizzard announcement in November last year pointed toward the event being held in the U.S. That post has since been taken down. Only 10 teams will make it to the Gauntlet based on their region’s performance in their respective Showdowns. 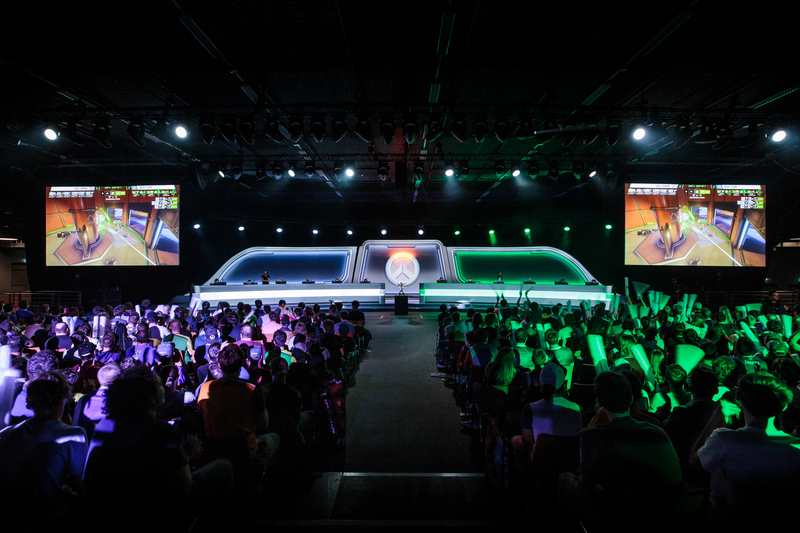 The Showdowns were implemented to encourage more inter-regional play at the Contenders level and to help players get scouted for the Overwatch League. But as more details about the Gauntlet are coming to light, some fans are concerned that the World Cup has been left on the backburner. Tickets will be released for both events at a later date.